Buunk, Abraham P.; Buunk-Werkhoven, Yvonne A.B. Sense of Defeat, Social Status and Oral Health Among Forensic Psychiatric Patients. European Journal of Medicine and Natural Sciences, [S.l. ], v. 2, n. 1, p. 48-54, july 2018. ISSN 2601-6400. Buunk-Werkhoven, Y.A.B., Takrovskaja, K. & Steverink-Jorna, L.M. (2018). Kidsfabriek: Oral health awareness and promotion of oral self-care during a learning and play event for children and parents in The Netherlands. Annual Clinical Journal of Dental Health, 7, 22-25. Buunk-Werkhoven, Y.A.B. (2017). Pick A T – Public Campaign to Promote the Use of Toothpicks: A Pilot Study. Advances in Dentistry & Oral Health, 4(5), 555673. DOI: 10.19080/ADOH.2017.05.555673. Buunk-Werkhoven, Y.A.B. & Reyerse, E. (2015). Teenagers’ Oral Health and Oral Self-Care in Curaçao. Dental Health: Current Research, 1(1), 1-6. Buunk-Werkhoven, Y.A.B. & Dijkstra, A. Gender Variations in Determinants of Oral Hygiene Behavior: A Secondary Analysis based on the Theory of Planned Behavior. In: Vincent L. Rush, (ED. ), Planned Behavior: Theory, Applications and Perspectives, Nova Science Publisher, Inc. 2014, p 37-54. Buunk-Werkhoven, Y.A.B., Hollaar, V.R.Y. & Jongbloed-Zoet, C. (2014). Work engagement among Dutch dental hygienists. Journal of Public Health Dentistry, 74(3), 227-33. DOI: 10.1111/jphd.12050. Epub 2014 Feb 26. Buunk-Werkhoven, Y.A.B., Dijkstra-le Clercq, M., Verheggen-Udding, E.L., De Jong, N. & Spreen, M. (2012). Halitosis and Oral health-related Quality of Life: A Case Report. International Journal of Dental Hygiene, 10, 3-8. Buunk-Werkhoven, Y.A.B., Burrekers, S.Y., Jongboer, A., Quant, Th.F.M. & Van Maanen-Schakel, N.W.D. (2011). Determinants of oral hygiene behavior in the Dominican Republic. International Dental Journal, 61, 328-333. Buunk-Werkhoven, Y.A.B., Dijkstra, A., Bink, P., Van Zanten, S. & Van der Schans, C.P. (2011). Determinants and promotion of oral hygiene behavior in the Caribbean and Nepal. International Dental Journal, 61, 267-273. Buunk-Werkhoven, Y.A.B., Dijkstra, A., Jaso, M.E., Acevedo, S., Parodi Estellano, G. & Almerich Silla, J.M. (2011). Persuasive oral hygiene communications in Uruguay and Spain. Cross-cultural Communication, 1, 1-16. Buunk-Werkhoven, Y.A.B., Dijkstra, A. & Van der Schans, C.P. (2011). Determinants of oral hygiene behavior: A study based on the theory of planned behavior. Community Dentistry and Oral Epidemiology, 39, 250-259. Buunk-Werkhoven, Y.A.B., Dijkstra, A., Schaub, R.M.H., Van der Schans, C.P. & Spreen, M. (2010). Oral health-related quality of life among imprisoned Dutch forensic psychiatric patients. Journal of Forensic Nursing, 6, 137-143. Buunk-Werkhoven, Y.A.B., Dijkstra, A., Van der Wal, H., Basic, N., Loomans, S.A., Van der Schans, C.P. & Van der Meer, R. (2009). Promoting Oral Hygiene Behavior in Recruits in the Dutch Army. Military Medicine, 174, 971-976. Buunk-Werkhoven, Y.A.B., Dijkstra, A. & Van der. Schans, C.P. (2009). Oral health-quality of life predictors depend on population. Applied Research Quality of Life, 4, 283-293. 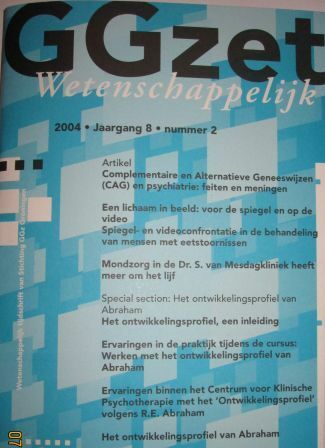 Buunk-Werkhoven, Y.A.B., Dijkstra, A., Van der Schans C.P., Jaso, M.E., Acevedo, S. & Parodi Estellano, G. (2008). Evaluación y promoción de la actitud hacia la higiene oral en pacientes de la Facultad de Odontología de la Universidad Católica del Uruguay [Evaluation and promotion of patients’ oral hygiene behavior in the faculty of Odontology of the Catolic University in Uruguay]. Actas Odontológicas, Vol. V No. 2 Julio-Diciembre 13-20. World White Teeth: Determinants and promotion of oral hygiene behavior in diverse contexts. (2010) Thesis. University of Groningen. ISBN: 978-90-376-4262-7. Promotie in de Gedrag- en Maatschappijwetenschappen, Rijksuniversiteit Groningen. Propositions (Stellingen 2010) for the defense of the dissertation. Werkhoven, Y.A.B., Spreen, M., Buunk, A.P. & Schaub, R.M.H. (2004). Mondzorg in de Dr. S. van Mesdagkliniek heeft meer om het lijf. [Oral Health care in Dr. S. van Mesdag Forensic Psychiatric Centre: More than oral health care alone]. GGzet Wetenschappelijk, 8, 36-40. Folgerts, O. & Buunk-Werkhoven, Y.A.B. A NVM-public campaign to promote oral health among a Dutch population. Journal of Clinical Periodontology. Special Issue: Abstracts of EuroPerio8, London, UK, 3-6 Volume 42, Issue S17, June 2015 Pages 443–467. [P0305]. Buunk-Werkhoven YAB, Buls JG, Osinga E, Bruers JJM. Diagnosis and treatment of halitosis by dental hygienists and dentists in the Netherlands. International Dental Journal. Special Issue: Abstracts of the 102nd FDI Annual World Dental Congress – September 2014. February 2015, Volume 65, Issue Supplement S1 Pages 1–232. Buunk-Werkhoven, Y.A.B. & Buunk, A.P. Fear of social rejection and oral self-care in men versus women. International Dental Journal. Special Issue: Abstracts of the 102nd FDI Annual World Dental Congress – September 2014. February 2015, Volume 65, Issue Supplement S1 Pages 1–232. Folgerts, O., van Splunter-Schneider, M. & Buunk-Werkhoven, Y.A.B. Public Health and Association’s Membership: desires/duties of Oral Health professionals. International Dental Journal. Special Issue: Abstracts of the 102nd FDI Annual World Dental Congress – September 2014. February 2015, Volume 65, Issue Supplement S1 Pages 1–232. Buunk, A.P. & Buunk-Werkhoven, Y.A.B. ‘Een zuivere mond, een zuivere grond: de mond spreekt boekdelen.’ [A clean mouth, a pure soil: the mouth says it all]. In: Jos Baijens, (Ed. 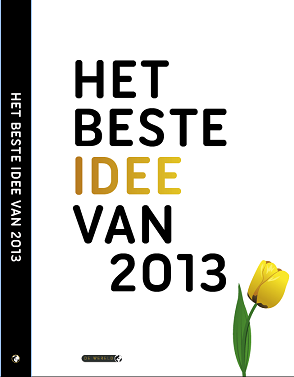 ), Het beste idee van 2013 (The best ideas of 2013), Uitgeverij De Wereld, 2013, p. 184. Buunk-Werkhoven, Y.A.B. (2010). Thesis World White Teeth – Determinants and promotion of oral hygiene behaviour in diverse contexts. OHASA Journal, Guest Editorial Vol. 11(4), 4-10.